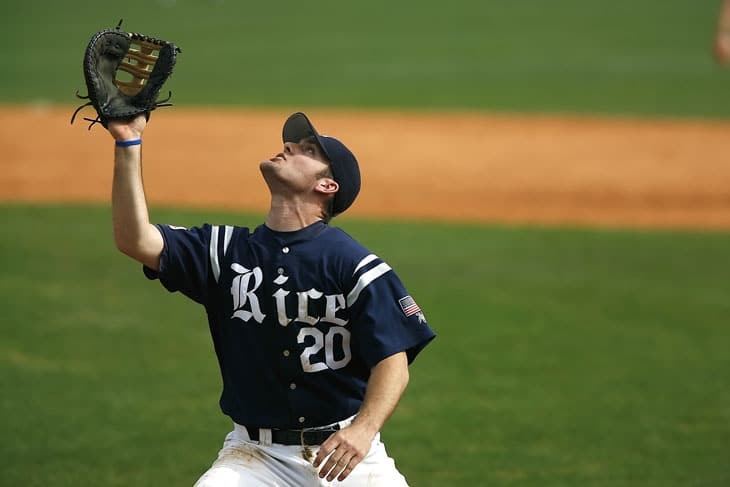 In this piece of writing, you will be getting some of the important steps about how you can relace your baseball glove. We will let you know not only the steps but how you can do it so that it will be easy for you to do at your home. Apparatus To Relace Baseball Glove. ​Steps To Relace Your Glove And Your Glove Web. ​Hence make sure to go through all the steps before starting the procedure, or before getting rid of your old yet loved glove. First and the foremost thing is the lace. It depends on the type of glove you have so that you can choose the right lace for relacing your baseball glove. Usually, 3-4 laces or the length 72 inches are enough for the procedure. ​Then the second thing is the type of needle required. You can either have the U-Wired grooved needle or the straight-laced grooved needle. Then and knife and finally a glove conditioner are the things that you must have. ​Once you have collected the apparatus then, first of all, you will relace the glove and then the glove web. In the sections below we will be inculcating the procedure to Relace Baseball Glove and to relace the glove web one by one. ​Here are the steps that will help you in relacing your glove and you will be able to do it just a few hours. ​Yes, the first and foremost step is to see how severe the damage is and where you need the relacing to be done. Then make a diagram of the points where the work is needed to be done. Once you have made the plan then make sure to condition the glove, or it will be hard for you to pass the needle, and the procedure will require all your strength. Hence softening the glove is crucial. Conditioner should not only be applied on the glove but one the lace as well so that it is easy to pass through the hole. ​No this procedure, you will first make the hole in the glove using the needle or the punch. Once it is done, pass the thread through the needle and make a knot on the other side of the thread so that it will not go through the hole completely (basic step for any sewing procedure). First of all, you should start the work on the toughest area like Palm and then to the easy areas like fingers. Make sure to find the pattern of the holes in the glove as different glove may have the various patterns for lacing and that might make the things difficult for you. 1. First of all, ensure the pattern of the glove so that you do not lace the glove incorrect. ​2. Then start the relacing after conditioning the web and from the thumb side of the glove near the edge. Follow the pattern of the glove while you are lacing and complete every hole before moving to the other side.